Champion (Eau de Toilette) is a perfume by Davidoff for men and was released in 2010. The scent is fresh-citrusy. It is being marketed by Coty. 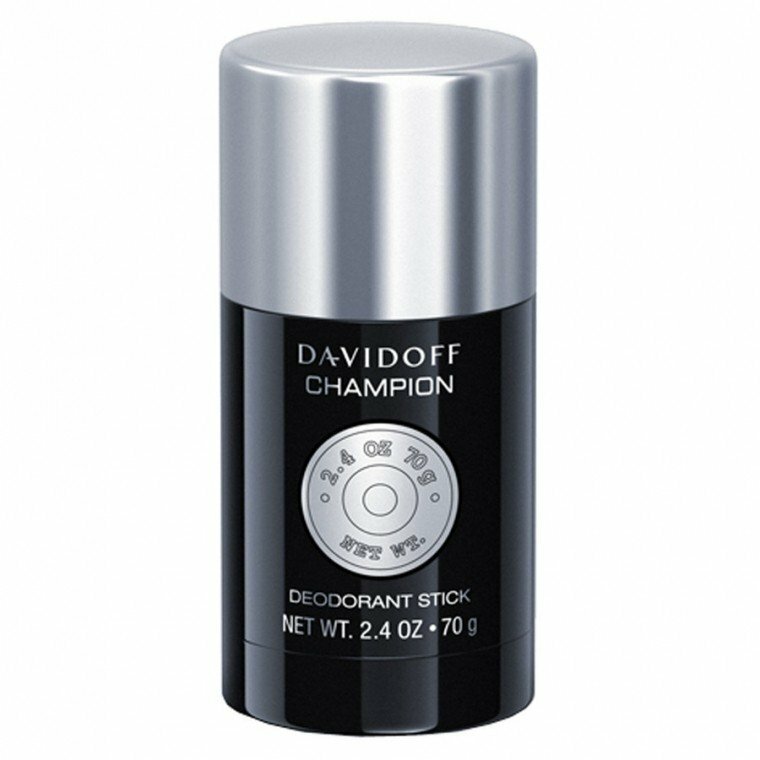 Davidoff's Champion has been denounced as a fragrance that captures the scents of a men's changing room. I have to confirm that. I have been going to lots of different gyms during my life, but the changing rooms smell all the same: it is a specific odour of used clothes, stale sweat and cheap deos – and Champion has it all! The top and middle notes are not too bad. There is a cool, dry and slightly citric appeal that for me has the consistency of the smell and taste of grape-sugar. This is the bridge to the idea of sport - this kind of grape sugar is regarded as health food for athletes. You can buy it in health shops and its purpose is to give back energy when needed as it dissolves quickly in the stomach. A while ago in a perfume shop, I witnessed an elderly lady who obviously needed some help at the gents' fragrances boards. She was looking for a present for the 80ieth birthday of her father-in-law. 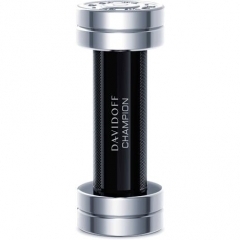 Without any hesitation, the sales agent reached for Davidoff's Champion! She applied some to the lady's wrist stating to her it was “new”. It had an immediate effect: her facial expression became moony, and she got completely absorbed in it. She did not notice that the tester had the shape of a dumbbell. Surely, she asked for the fragrance's name, but she did not give it a second thought. She hardly got her wrist from her nose when she finally fondled with her purse. She did not notice at all that this Champion was sold for her, not for poor Granpa'! It is a bit unfair to say that Champion smells like a cheap deodorant. It smells like real butch men wearing a cheap deo after a hard workout - and this makes a considerable difference. So fellas, if you are into elderly ladies, this is your fragrance! It took me awhile to get over how corny and silly the bottle design was. Did they really have to shape it like a dumbbell to make men feel masculine owning a bottle of this fragrance? The last reference I'll make to this bottle is that Champion would go well with the sweaty workout that is, lifting dumbbells. The scent is refreshing to say the least. Not groundbreaking, but pleasant nonetheless. It's mostly a linear composition of green citrus and musky cedarwood. To be honest, many male deoderants smell this good, and for a lot cheaper too. Champion has good projection and longevity, especially for that of a sports fragrance. I understand that men are probably more conscious of the way they smell after a gym session, but coming from the experience of a woman that loves perfume, dousing onself in perfume is not going to get rid of that odour. 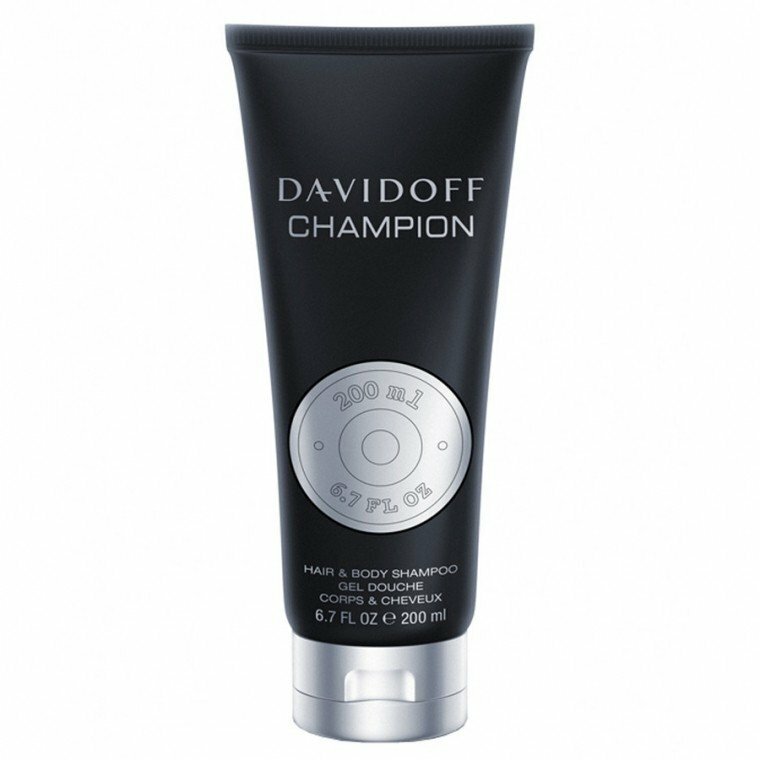 Shower instead and then apply Davidoff Champion. I don't doubt that this fragrance will be a hit with the ladies, as a female I like it, but as a critic, my nose finds it lacking in character. I like the woodsy aspect, however I find the citruses a bit sharp and nauseating over time. I would recommend this fragrance for Spring and mild Summer weather. Write the first Review for Champion (Eau de Toilette)!